The following events appear in Natural Awakenings – Westchester, Putnam, Dutchess NY, April 2018 Edition. Becoming a Spiritual ‘Midwife’ – 1-3pm. Topics include: paths to personal growth, ways to soften the heart, letting go, moving through losses and sorrows and sharing God’s promise. $75. The Mariandale Center, 299 N Highland Ave, Ossining. Info: 914.941.4455. Mariandale.org. Yoga Fun & Creative Play – Apr 3-May 15. 3-5pm. 1st-5th grade. Seven-week series where children will balance, believe, create through yoga, mindfulness, art and theater. $130. Cold Spring Yoga, 75 Main St. 845.265.4444. ColdSpringYoga.com. Qi Gong Classes – Apr 3 and 17. 6:30-7:30pm. Sacred Space Healings Arts, 436 Main St, Beacon. $10. Register: 845.416.4598. EmpoweredByNature.net. Dances of Universal Peace – 7-8:30pm. Simple, meditative, joyous, multi-cultural circle dances from many spiritual traditions to touch the spiritual essence within ourselves and recognize it in others. Free. The Mariandale Center, 299 N Highland Ave, Ossining. Info: 914.941.4455. Mariandale.org. Chivalry + Martial Arts for Boys – Apr 5-May 10. 3:15-4:30pm. Six-week series introduces the code of ethics and the basics of martial arts to develop self-empowerment, strength, focus and humility. $120. Cold Spring Yoga, 75 Main St. 845.265.4444. ColdSpringYoga.com. Yoga for Relaxation, Rejuvenation and Balance – 6:15-7:30pm. Rejuvenate the body, mind and spirit through yoga and alignment. $20. The Mariandale Center, 299 N Highland Ave, Ossining. Info: 914.941.4455. Mariandale.org. A Mediumship Message Gallery – 7-9pm. With Adam Bernstein $40. Synchronicity, 1511 Rte 22, Brewster. RSVP: 845.363.1765. Info: SynchronicityNY.com. Community Reiki Hour – 9-10am. Positive life force energy is channeled into each recipient to help balance the chakras and aid in healing on a physical, mental and emotional level. Katonah. RSVP: 914.479.2594. HipHeather.com. Art of True North Alignment – Apr 7-8. 9am-6pm/Sat; 9am-5pm/Sun. Using Baptiste Methodology one will demystify anatomy and learn the common language of anatomy and alignment for more information and cause a breakthrough in one’s practice. Registration: BaptisteYoga.com. Reiki 1 and Reiki 2 – 1pm. 4/7-4/8. Learn this ancient Japanese art of hands on healing and become certified in Reiki 1 and Reiki 2. Bring peace and healing to self and others. $200. 1132 Main St. Peekskill. Contact Shima: 917.279.9577. Higher Self Connecting Circle – Apr 7, 21, May 5 and 19. 2-3:30pm. With Mary Ellen O’Brien, powerful two-month program to shift vibration and align with higher self. Four group meetings and four individual coaching/healing sessions. PranaMoon Yoga, Peekskill. AwakenYourTrueEssence.com. The Buddy System Movie Screening – 4:15-6pm. Intimate stories of three families touched by autism, who experience meaningful change when a specially trained assistance dog comes into each of their lives. Q&A after screening. Merritt Bookstore, 57 Front St. Millbrook. Info: MerrittBooks.com. A Double Workshop – 10am-5pm. The Developmental Sequence in Joe’s Work with Sean Gallagher and Joe’s Springs and Cuing on the Cadillac with Elaine Ewing. $250. Presented by: Rhinebeck Pilates. 845.876.5686. RhinebeckPilates.com. Double workshop held at The New York Pilates Studio, NYC. Register/Paypal payment: spgpt@pilates-studio-ny.com. Guided Meditation – 11am. 45-min group session. $10. 18 person limit. The Source NY, 143 Boardman Rd, Bldg 3, Poughkeepsie. Must RSVP: 845.214.0452. TheSource-NY.com. Free Aura Soma Colour Therapy Discussion – 12:30pm. 60-min group session. There will be a drawing for one free colour reading. The Source NY, 143 Boardman Rd, Bldg 3, Poughkeepsie. 845.214.0452. TheSource-NY.com. Inversion Workshop – 1-3:30pm. Learn to safely fall out of an inversion with confidence. Discover strength building tools. Practice multiple variations and more. All levels encouraged to face their fear of going upside down. $30. BeBhakti Yoga Center, Beacon. BeBhaktiYoga.com. Monthly Reiki Circle – 2-3:30pm. With Deborah Amjadi. Reiki is a recognized natural healing system that supports the body’s innate healing ability. This circle will bring together like-minded souls to share in the collective consciousness using reiki energy. Mt Kisco. 914.864.0462. Center4Healing.net. Mindful is the New Skinny Bootcamp for Women – Apr 9-May 16. 1-2:30pm. Mondays. Six-weeks to a lighter person inside and out. $375. The Center for Health and Healing, 4 Smith Ave, 2nd Flr, Mt Kisco. Info: 917.974.9446. Sign up JodiBaretz.com. Qi Gong for Women Workshop – Apr 9 and 11. 6-7:30pm. $39. 300 Vineyard Ave, Vineyard Commons, New Paltz. Sun Ulster: 845.339.2025. Register online: Apps.SunyUlster.edu/courses/NCC,2085. Build a Natural Health Business – 6:30-7:30pm. With Michael Rosenbaum. Rewarding way to earn substantial income and build community by helping others. PT/FT. Free presentation. Pinewood Business Center, 247 Rte 100, 2nd Flr, Somers. RSVP, show up or call for another date: 914.589.3601. Kundalini Yoga & Gong Meditation – 7-8:30pm. With Pritam Bani Kaur. Use movement, sound current, breath and meditation to relax and heal mind and body. All levels. First class free. $20 drop-in. Devotion Yoga. 2055 Albany Post Rd, Croton on Hudson. 914.930.7707. DailyDevotionYoga.com. WLT Volunteer Orientation – 10am-2pm. Learn about volunteer opportunities and help prepare the gardens for growing produce for area food pantries at Sugar Hill Farm. Info: Kat 914.234.6992 x 15. WestchesterLandTrust.org. Qigong: Aligning Mind, Body and Spirit with Universal Energy – 7-8pm. Qigong, a moving meditation is a practice that has been used for thousands of years to promote vitality and longevity. $15. The Mariandale Center, 299 N Highland Ave, Ossining. Info: 914.941.4455. Mariandale.org. Free Lecture: What is Ayurvedic Medicine and How Does It Compare with Western (Allopathic) Medicine? – 7-9pm. With Dr. Somesh Kaushik, an Ayurvedic and Naturopathic physician. South Salem Library, 15 Main St. 914.875.9044. LewisboroLibrary.org. Natural Way to Quit Alcohol, Sugar, Smoking – 7-8pm. Learn simple, effective method for quitting smoking, alcohol, sugar and more. 80 percent success. Simpler than most dare to believe. Free lecture. Briarcliff location. 914.473.2015. QuitWithQuinn.com. Happy Marriage Talks with Tracy Fox – 7:30-9pm. Fun, interactive, presentation on Happy Marriage – a 10 Step Solution to Happily Ever After. $20 for individuals. $30 for couples. Wainwright, 260 Stuyvesant Ave, Rye. Info: 914.967.6080. wainwright.org. Beauty School – 6-8pm. Learn an all-natural skin care routine for morning and evening and a Savvy Mineral make-up demonstration with Young Living products. $10 fee for materials. Reviva Skin and Body Solutions, 929 Main St, Fishkill. RSVP required: 844.363.7894. RevivaBody.com. How to Pay for College Without Going Broke – 6:30pm. Presented by College Planning 101, designed for parents of high school students. Somers Library. Info/register: 914.232.5717. SomersLibrary.org. Raising Boys: Parent Support and Strategy Group – 7:30pm or 4/13 at 9:30am. April’s Topic: Boys and Technology. donation suggested. Wainwright, 260 Stuyvesant Ave, Rye. Info: 914.967.6080. wainwright.org. Holistic Moms Meeting: “What Is Hypnosis? – 7:30pm. With Wendy Tedesco. Learn how it can help with anxiety, phobias and weight loss. Learn tools to overcome personal and social challenges. Rye Free Reading Room, 1061 Boston Post Rd. HolisticMoms.org. Ayurvedic Self-Care Workshop – 7-8:30pm. With Ami Jayaprada-Hirschstein. 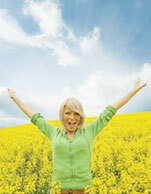 Spring is a perfect time to get rid of toxins. $25 advance. Hudson Valley Healing Center, 51 Springside Ave, Poughkeepsie. 845.605.2210. New Moon Yin Yoga: Manifest & Restore – 9-10:15am. The new moon is a time to set seeds of intention. Tune into one’s heart’s desires with contemplative yin yoga. Katonah. RSVP: 914.479.2594. HipHeather.com. Protecting the Righteous Qi – Holistic Prevention and Support of Chronic Illness – 9am-1pm. $49 LES458. Register with school. Dutchess Community College – South Campus – Wappingers Falls. 845.431.8910. SunyDutchess.edu/cfweb. Bethel Springvale Inn Wellness Fair – 10am-1pm. Features specialists in self-care and stress-relieving therapies, as well as other professionals offering expert advice. Free. Bethel Springvale Inn is located at 62 Springvale Rd., Croton-on-Hudson. Info: 914.739.4404 x 2204. Soul Alignment Workshop – Noon-2pm. With David Clark. Experience guided meditation, chanting, divine consciousness and spiritual healing. Align soul with the divine. All welcome. $30. Devotion Yoga, 2055 Albany Post Rd, Croton on Hudson. Preregister: 914.930.7707. DailyDevotionYoga.com. Relax and Rejuvenate – 1:15-4:15pm. With Vandita Kate Marchesiello. Untangle body and mind with gentle but profound yoga practices. $45 members. $65 nonmembers, in advance. The Yoga Studio, Club Fit, 584 N State Rd, Briarcliff Manor. Info: Audrey Brooks: 914.582.7816. ytayoga.com. Natural Approaches for a Healthy Thyroid – 2-4pm. With Dr Kurt Beil. Hear the causes of thyroid dysfunction and explore conventional, alternative and integrative medical approaches to restore balance, including dietary and lifestyle choices and more. $40. Mt Kisco. 914.864.0462. Center4Healing.net. Free Lecture: Diabetes – 3-5pm. Light refreshments will be served. Held by Dr. Kaushik’s Ayurvedic and Naturopathic Clinic at Yellow Monkey Village, 792 Rte 35, Cross River. Clinic M, T, W: 914.875.9088. DrKaushik.com. Sound Healing with Tibetan Bowls – 5:30-7pm. With Michelle Clifton. Experience deep relaxation in this magical session of Tibetan singing bowls, crystal bowls and chimes. $35 advance. $40 door. Mt Kisco. 914.447.0822. Center4Healing.net. Photography and Meditation – 10am-12pm. Cultivate mindful awareness, stimulate senses and open channels to seeing anew. Special equipment not required. All levels. $30. The Mariandale Center, 299 N Highland Ave, Ossining. Info: 914.941.4455. Mariandale.org. Interfaith Celebration of Gratitude – 10:30am-12pm. All welcome. Refreshments follow. (Next to the Schoolhouse Theater). Parking is available across the street. The Chapel at Croton Falls, 609, Rt. 22, Croton Falls. Info: ChapelatCrotonFalls.org. Natural Beauty Workshop – 11am-12:30pm. With Emoke. Learn how to make herb infused oil and herbal lotion bar. Take home handmade lotion bar. Limited space. $55. The Temperance Center, 453 White Plains Rd, Ste 203, Eastchester. Must preregister/prepay: 914.793.2600. TheTemperanceCenter.com. Energy Healing and Stress Reduction – 2-3:30pm. Instructor Penny Lavin from One Light Healing Touch School. Learn self-healing practices, release stress and develop innate healing abilities. Free. Desmond Fish Library, 472 Rte 403, Garrison. Register: 845.424.3020. Info: OLHT1.com. Non-Toxic Cleaning Products Demo Celebrating Earth Day – 5-6:30pm. Make hundreds of bottles of Windex and Fantastic alternatives for $12 and protect family’s health. Natural products for dishwashing, laundry and more. Free gifts. Somers Sports Arena, 247 Rte 100. Cindy Rosenbaum: 914.806.6559. Bionutrient Food Association Meeting – 5:30-7:30pm – Monthly potluck meetings for gardeners, farmers, nutritionists and foodies at all levels of experience. Themed presentations, networking and demos. Free. Westchester Land Trust in Bedford Hills. Info: Bionutrient.org. Quit Alcohol Simply and Permanently – 7-8pm. Learn about Quit with Quinn—helping people around the world overcome alcohol and other addictions. Easier than people ever thought possible.80 percent success. Free lecture. Briarcliff location. 914.473.2015. QuitWithQuinn.com. Introduction to Kundalini Yoga and Meditation – 10-11:30am. With Pritam Bani Kaur. Beginner class using movement, breath and meditation taught at slower pace and more. First class free. $20 drop-in. Devotion Yoga, 2055 Albany Post Rd, Croton on Hudson. 914.930.7707. DailyDevotionYoga.com. Earth Day Community Yoga – 9-10am. Focus on the root chakra, its energy is based on the earth element. All levels. $20 suggested donation to support local environmental organizations. Space limited. Katonah. RSVP: 914.479.2594. HipHeather.com. Intro to Yoga & Meditation for Total Beginner Workshop – 11:15am-1:15pm. With Ann. For those new to yoga.Yoga styles, asana, breath-work, props, chairs, guided meditation, savasana. Limited space. $45. The Temperance Center, 453 White Plains Rd, Ste 203, Eastchester. Must preregister/prepay: 914.793.2600. TheTemperanceCenter.com. Writing Workshop with Author Steven Lewis – 1-3:30pm. Lewis teaches about the journey of novel writing and overcoming some common obstacles. All welcome. $30 includes Steven’s book. Merritt Bookstore, 57 Front St, Millbrook. Register: 845.677.5857. Ayurvedic Workshop – 1-4pm. Class goes deeper than just one’s Doshic blueprint. Learn about the emotional body and how 21 poses soothe, energize and balance emotional state. No Ayurveda knowledge necessary. Wear movable clothing. $40. beBhakti Yoga Center, Beacon. BeBhaktiYoga.com. Earth Day Community Yoga – 2pm. With Lynne Geaney. 50 minute class to honor the land. No yoga experience necessary. Bring a yoga mat. Suggested donation $15. Sugar Hill Farm. Info: Kat 914.234.6992 x 15. WestchesterLandTrust.org. Awaken Wellness Fair – 10am-5pm. Speakers, healers, vendors and readers. 100+ exhibitors and 1000 guests. Exhibitor spots available. Double Tree Hotel, Tarrytown. Info: AwakenFair.com. Mini Meditation Retreat – 10am-1pm. With Jodi Baretz. Meditation, mindfulness concepts and discussion around Jodi’s new book: Mindful is New Skinny. $85. The Center for Health and Healing, 4 Smith Ave, 2nd Flr, Mt Kisco. Info: 917.974.9446. Sign up JodiBaretz.com. Earth Day Meditation – 11am-Noon. Send love, light and healing energy to the earth and its inhabitants with a guided meditation. Reviva Skin and Body Solutions, 929 Main St, Fishkill. RSVP required: 844.363.7894. RevivaBody.com. Self-Healing with Energy Medicine – 2-4pm Instructor Penny Lavin, from One Light Healing Touch School. Learn how life-force energy flows, strengthen the immune system, release programming and stress. $20. 184 Todd Hill Rd, Lagrangeville. 845.878.5165. OLHT1.com. Sacred Contracts – 6:30-8:30pm. Learn the types of individual contracts that make up overall sacred contracts, how to identify them and how to work with them. BYO journal and pen. $40. DG Sanctuary. 2 Lagrange Ave, Poughkeepsie. 845.473.2206. DreamingGoddess.com. Curing Addiction from the Core: Quit with Quinn Info-Lecture – 7-8pm. Discover the unseen energy of addiction and how this simple, natural method can help participants quit alcohol, smoking and sugar behaviors for good. 80 percent success. Free Lecture. Briarcliff location. 914.473.2015. QuitWithQuinn.com. Researching Colleges: A Guided Tour – 7pm. Presentation by Jeffrey Hirsch of College Starter—Admissions & Application Academy. Learn about resources that help with for prioritizing and researching colleges. Somers Library. Info/register: 914.232.5717. SomersLibrary.org. Earth and Sky Yoga Retreat – Apr 28 and 29. 10am-5pm/Sat; 10am-1pm/Sun. With Stacey Gibbons. Discover the weaving of yoga and shamanism, the ancient ways of indigenous people. All levels of experience. $229. Mt Kisco. 914.864.0462. Center4Healing.net. Sacred Stone Grid Workshop – 11am-5pm. Make a Mandala and use it to create powerful grids. Discuss sacred geometry, how to combine energies, different ways to activate grids and more. $75 includes supplies. DG Sanctuary. 2 Lagrange Ave, Poughkeepsie. 845.473.2206. DreamingGoddess.com. Free Lecture: What is Ayurveda and What Can It Do for You? – 1-3pm. With Dr. Somesh Kaushik, an Ayurvedic and Naturopathic physician. Katonah Pharmacy, 202 Katonah Ave, Katonah. 914.232.1109. KatonahPharmacy.com. Create Vital Health with Seasonal Transition: An Exploration of The Chinese Five-Element System – 1-4pm. Workshop depicts how well people adapt to changes and the impact on internal nature. $30. Sacred Space Healing Arts Studio. 436 Main St, Beacon. Register: 845.416.4598. EmpoweredByNature.net. Shamanic Reiki Hearth Circle – 5:30-7pm. With Melanie Ryan. Connect to heart and earth. Hands on healing practices, sharing, meditations and shamanic journeys. $20 suggested cash at door. Proceeds benefit a non-profit for indigenous shamans. Mt Kisco. 914.864.0462. Center4Healing.net. A Day of Healing – 10am-5pm. Instructors Penny and Ron Lavin MA, from One Light Healing Touch School, teach Scanning, Radiant and Color Healing and Practices for healing oneself and others. $150. Lagrangeville. Register: 845.878.5165. OLHT1.com. Natural Way to Quit Sugar, Overeating, Smoking – Noon-1pm. Learn simple, effective method for quitting smoking, alcohol, sugar and more. 80 percent success. Simpler than most dare to believe. Free lecture. NYC location, E 37th btwn Park & Lex. 914.473.2015 QuitWithQuinn.com. Quit Alcohol Simply and Permanently – 1-2pm. Learn about Quit with Quinn—helping people around the world overcome alcohol, smoking and other addictions. Easier than people ever thought possible.80 percent success. Free lecture. NYC location, E 37th btwn Park & Lex. 914.473.2015; QuitWithQuinn.com. Intuition and Body Wisdom – 2-5pm. With Angela Pizzarello. Body centered intuition to call on anytime, anywhere as an internal GPS. For women only. Practice ways to tune in deeply to body’s innate wisdom to navigate through life. $85. Mt Kisco. 914.864.0462. Center4Healing.net. Refuge Recovery Group Meeting – 7-8:15pm. Peer led Buddhist inspired path to healing and recovery for all types of addictions, pains and suffering. All welcome. Small donation suggested. Meeting follows 5pm Kundalini Yoga & Gong Meditation class. Devotion Yoga of Westchester, 2055 Albany Post Rd, Croton on Hudson. DailyDevotionYoga.com; 914.930.7707. Women’s Full Moon Gathering – 7-8:30pm. Non-denominational monthly gathering for women, coming together to draw on the powerful energies of the full moon. $10 donation. DG Sanctuary. 2 Lagrange Ave, Poughkeepsie. 845.473.2206. DreamingGoddess.com. Free Yoga for Breast Cancer Survivors – May 2, 9, 17, 24, 31. 6:30 – 7:30 pm. YWCA White Plains & Central Westchester, 515 North Street, White Plains. To register: 914.949.6227 ext. 208. PULSE Mindfulness Manifestation Empowerment Workshop – 9:30am-4:30pm. Learn an easy-to-use tool to become empowered. Participants create their desires and let go of blocks. $75 including lunch. Mariandale Center, Ossining. Info: PulseManifestation.com. Register: Mariandale.org. Cinco de Mayo – 2-7pm. An outdoor event. All ages. Mexican food, beverages, craft table and live entertainment. Free to public. Mamaroneck Ave between Maple Ave and E Post Rd, White Plains. Info: wpbid.com. The “Mental Gut” Health Forum – Two sessions: 10:30am-2pm or 5-8:30pm. Learn how the gut can impact mental health. A Lecture, panel discussion and Q & A. Early-Bird $53; After April 22: $63. The Westport Inn, 1595 Post Rd. East, Westport. Info: Francesca 914.837.6830. Register: mentalguthealth.com (Events). The following events appear in Natural Awakenings – Westchester, Putnam, Dutchess NY, December 2016 Edition. Shamanic Journeys through the Directions – Dec 1-22. 7pm. Thurs. Four-week series of powerful and healing journeys to explore each of the Cardinal Directions. Hands of Serenity Healing, 1129 Main St, Fishkill. Call for fees: 845.896.1915. HandsOfSerenityHealing.com. Yoga Nidra – 7-8:30pm. With Nadiya Nottingham. $35. Inner Balance Studio, 1072 Rte 311, Patterson. Preregister. InnerBalanceStudio.org. Create Vital Health: An Introduction to Ayurveda – 9am-1pm. 5653 90. $59. L Hughes. LES430. Dutchess Community College South. Register directly with the school: 845.431.8910. SunyDutchess.Edu/cfweb. A Dickens of a Holiday at Wainwright House – 10am-4pm. Holiday festivities include Holiday Shopping Boutique, Christmas Carolers, Entertainment, Arts & Crafts, Photos with Santa, Horse Drawn Wagon Ride and more. Rye. Info: 914.967.6080 or wainwright.org. Kirtan Chanting – 7-8:30pm. With Sita Miriam Zernis. Eclectic sacred sounds that open heart, quiet mind and create deep sense of peace. Sacred Spirit Yoga and Healing Arts Center, South Presbyterian Church, 343 Broadway, Dobbs Ferry. Preregistration/pricing details: SaredSpiritYogaCenter.org. Circle of Hope – Await the Winter Solstice and create lighted wreaths to usher in the season of light. $30 includes all materials. Hands of Serenity Healing, 1129 Main St, Fishkill. 845.896.1915. HandsOfSerenityHealing.com. Reiki I Training – 10:30am-2:30pm. With Brett Bevell. Be initiated into the powerful, life-changing experience of Reiki, International Master Teacher and Author Brett Bevell. $250. Mt Kisco. 914.864.0462. Center4Healing.net. First Sunday Free Meditation and Satsang – 11am-12:15pm. With Gabrielle Semel, E-RYT 500. Inner Balance Studio, Patterson. Info: InnerBalanceStudio.org. Teen Yoga, Meditation and Empowerment – Dec 4-18. 1-2:30pm. With Crossover Yoga Project. Yoga, MSBR. Sunday discussion for kids 12-18yrs to help lower stress and more. $100 five-weeks. PranaMoon Yoga, 1000 N Division St, Ste 2H, Peekskill. 914.319.4010. CrossoverYogaProject.org. The Order of Melchizidek and Priesthood Class: Ordination into Interfaith Ministry – 1-4:30pm. With Rev. Dan Chesbro. Learn history, ceremonial rituals, legal duties and more. Unitarian Universalist Fellowship, 236 S Bedford Rd, Mt Kisco. Pricing details: 914.236.4503. StarVisionsCommunity.org. Annual Skybaby Holiday Open House – 1-6pm. Featuring samples of holistic health care, shopping and snacks. SkyBaby Yoga & Pilate’s Studio, 75 Main St, Cold Spg. 845.265.4444. SkyBabyYoga.com. Holiday ‘House Tour & Tea’ Sundays – Begins 1:30pm. The mansion will be beautifully decorated, includes afternoon tea and docent tour of Wainwright’s rich history. $25. Sundays til December 18. Rye. Reservations: 914.967.6080 or wainwright.org. Shamanic Drumming Meditation – 3:30-5pm. With Amy Benesch. By donation. Synchronicity, 1511 Rt. 22, Brewster. Info/RSVP: 845.363.1765; synchronicityny.com. Yin Yoga & Meditation – 5-6pm. With Adrienne Eppner. Mind and body practice using longer holds in poses focusing on connective tissues in body. Quest Yoga Arts, 11 E Main St, Mt Kisco. Register: 914.241.9642. QuestYogaArts.com. Slow Medicine for Holiday Stress – 7-9pm. With Dr. Michael Finkelstein. Learn how stress affects the physical body and tools to maintain balance. Free. Quest Yoga Arts, 11 E Main St, Mt Kisco. Preregister: 914.241.9642. QuestYogaArts.com. Adult Guided Channeling/Meditation Group – 7:15-8:15pm. With Merrill Black, LCSW/Reiki Master. Unique theme, meditation, group discussion. $15. The Temperance Center, 453 White Plains Rd, Ste 203, Eastchester. 914.793.2600. TheTemperanceCenter.com. Qi Gong Classes – Dec 6 and 20. 6-7pm. Sacred Space Healing Arts Studio, 436 Main St, Beacon. $10. Info: Lorraine: 845.416.4598. EmpoweredByNature.net. Reiki Circle – 7pm. A Reiki share for all practitioners Level I or higher. $10 requested donation. Hands of Serenity Healing, 1129 Main St, Fishkill. 845.896.1915. HandsOfSerenityHealing.com. Natural Tones Meditation, 7-7:45pm. When an instrument such as the Tanpura is plucked, the harmonic overtones help bring about a shift in consciousness that promotes wellbeing. $15 drop-in fee. Rye. Info: 914.967.6080 or wainwright.org. Holistic Moms Network Event – 7:30pm. With Dr. Maya Shetreat-Klein, MD, Pediatric Neurologist and author of The Dirt Cure: Growing Healthy Kids with Food Straight from Soil. Rye Free Reading Room, 1061 Boston Post Rd. HolisticMoms.org. Mediumship Circle – 7-8:30pm. With Carla Blaha. $40. Synchronicity, 1511 Rt. 22, Brewster. Info/RSVP: 845.363.1765; synchronicityny.com. Gingerbread House Decorating Contest – 12-4pm. Presented by Houlihan Lawrence Rye Brokerage. Get in the holiday spirit, be creative and design your winning entry. Rye. Details: 914.967.6080 or wainwright.org. Holiday Stress Relief Workshop – 2-3:30pm. With Clinical psychotherapist Elsa Arce. Techniques such as Emotional Freedom Technique (EFT) and Reiki can help relieve stress. $25. Dragonfly Wellness, 109 Croton Avenue, Suite 205, Ossining. Info: 914.330.5328; ReleaseOverwhelm.com. Introduction to Foot Reflexology – 9am-1pm. NCC 2039-01 / KSU. $45 plus $10 material fee. Kingston Center of SUNY Ulster. 94 Mary’s Ave, Kingston. 845.339.2025. Register: SunyUlster.Edu/ce. Babysitting Workshop – 10:30am-2:30pm. Introduction to babysitting course. Students will learn interviewing tips, communication skills, ages and stages of young babies, toddlers and more. Kent Public Library, 17 Sybil’s Crossing, Kent Lakes. Register: 845.225.8585. KentLibrary.org. Yin/Vinyasa – 1:30-4:30pm. With Corina Benner. Combine these practices for increased energy and emotional cleansing. $45 members. $65 nonmembers in advance. The Yoga Studio, Club Fit, 584 N State Rd, Briarcliff Manor. Info: Audrey Brooks: 914.582.7816. YTAyoga.com. Free Lecture: Ayurveda and the Winter Season – 3-5pm. Preparing for and Thriving in the Dark and Cold. Light refreshments served. Dr. Kaushik’s Ayurvedic and Naturopathic Clinic, Yellow Monkey Village, 792 Rte 35, Cross River. Dr. Kaushik: 646.672.6725. DrKaushik.com. MELT – 4-6pm. With Joy Jacobson. This technique, combined with small balls and soft foam rollers, is designed to alleviate pain and release built up tension. $30/$35. Quest Yoga Arts, 11 E Main St, Mt Kisco. Register: 914.241.9642. QuestYogaArts.com. Monthly Shamanic Reiki Hearth Healing Circle – 5:30-7pm. With Melanie Ryan. Proceeds support non-profit projects working to preserve world-wide indigenous shamanic healing practices. $20 suggested. Drop-ins welcome. Mt Kisco. 914.864.0462. Center4Healing.net. Monthly Manifesting – 6-7:30pm. With Carla Blaha $25. Synchronicity, 1511 Rt. 22, Brewster. Info/RSVP: 845.363.1765; synchronicityny.com. Women’s Full Moon Circle – 7-8:30pm – A non-denominational monthly gathering for women. Draw in the powerful energies of the full moon. $10. DG Sanctuary. 2 Lagrange Ave, Poughkeepsie. 845.473.2206. DreamingGoddess.com. A Day with the Sacred Feminine – 11am-5pm. With Jo Jayson, intuitive artist. Full day event. 11am-1pm/workshop. $35. 1-5pm/Trunk Show. Free admission. Great gift ideas. Mt Kisco. 914.864.0462. Center4Healing.net. Magical Awakening Level 3 Training – 11:30am-3:30pm. With Brett Bevell. $200. Synchronicity, 1511 Rt. 22, Brewster. Info/RSVP: 845.363.1765; synchronicityny.com. Winter Solstice Healing Night – 4-6pm. With Merrill Black, LCSW/Reiki Master. Restorative yoga, singing, lighting ceremony and meditation. $20 half goes to charity The Temperance Center, 453 White Plains Rd, Ste 203, Eastchester. 914.793.2600. TheTemperanceCenter.com. Aromatherapy for Emotional Wellness – 5-6:30pm. Learn about therapeutic benefits of and how it can help relax, boost energy and mood and more. No charge. Hygeia Integrated Health 3505 Hill Blvd, Ste K, Yorktown Hts. Advance registration required: 914.352.6116. Manage Stress with Biofeedback – 5-6:30pm. Learn how biofeedback can help manage anxiety, stress and pain relief. No charge. Hygeia Integrated Health 3505 Hill Blvd, Ste K, Yorktown Hts. Registration required: 914.352.6116. December Family Yoga & Mindfulness – Noon-1pm. With Denise Nobile, registered adult and children’s yoga teacher. Program for family members to practice together. Adults, teens and children 5 years and up. Info/register: 914.232.5717. SomersLibrary.org. DIY Sugar Scrubs – 5:30-6:30pm. 3rd Thurs crafts for adults. November craft will be making sugar scrubs. Kent Public Library, 17 Sybil’s Crossing, Kent Lakes. Register: 845.225.8585. KentLibrary.org. Tea & Stones – 6:30pm. An hour lecture to connect and learn about gems, stones and their incredible properties. Free. Dreaming Goddess 44 Raymond Ave, Poughkeepsie. Info: 845.473.2206. DreamingGoddess.com. Holiday Shop and Sip – 5-10pm. Join us for a relaxing evening of shopping, snacks and secret discounts and specials. Hands of Serenity Healing, 1129 Main St, Fishkill. Info: 845.896.1915. HandsOfSerenityHealing.com. The 72 Archangels of the Kabbalah – 7-9pm. Workshop with Shaman Elka Boren. Participants are given the opportunity to discover their Birth Angel. $35. Synchronicity, 1511 Rt. 22, Brewster. Info/RSVP: 845.363.1765; synchronicityny.com. Monthly Reiki Circle – 7-8:30pm. Relax and receive the healing of universal life force energy in a loving, supportive healing environment with caring, professional Reiki Practitioners. $20 suggested. Mt Kisco. 914.864.0462. Center4Healing.net. Shamanic Journey Circle – 7-9pm. Through rhythmic drumming in guided meditation, transcend our conscious state and journey to meet helping spirits around. No experience necessary. $20. DG Sanctuary. 2 Lagrange Ave, Poughkeepsie. 845.473.2206. DreamingGoddess.com. Qi Gong for Beginners & Experienced – 9am-12pm. $25. Register directly with school: Desmond Campus for Adult Enrichment, 6 Albany Post Rd, Newburgh. 845.565.2076. msmc.edu. Divine Sleep Yoga Nidra – 10-11am. With Claudia Gukeisen. Offered monthly. A deep level of guided inner relaxation. $25 drop-ins welcome. Claudia: 914.673.3314. Center4Healing.net. Third Sunday Community Yoga – 11am-12:15pm. Admission by donation of personal care products for the Pawling Community Resource Center. InnerBalanceStudio.org. Community Acupuncture and Meditation – 5-6:30pm. Discussion and demonstration on benefits of acupuncture for stress reduction, digestive issues and more. Led by Licensed Acupuncturist. $30. Hygeia Integrated Health, 3505 Hill Blvd, Ste K, Yorktown Hts. Advance registration: 914.352.6116. The Winter Solstice: A Community Event – 5:30-7:30pm. A Winter Solstice Celebration with fire ceremony and drumming. $10 donation suggested. Rye. Details: 914.967.6080 or wainwright.org. Restorative Yoga – 5-7pm. With Karla Diamond. Powerful practice that everyone can benefit from, regardless of age or fitness level. $35 advance. $40 door. Quest Yoga Arts, 11 E Main St, Mt Kisco. Register: 914.241.9642. QuestYogaArts.com. Adult Guided Channeling/Meditation Group – 7:15-8:15pm. With Merrill Black, LCSW/Reiki Master. Unique theme, meditation, group discussion. $15. The Temperance Center, 453 White Plains Rd, Ste 203, Eastchester. Info: 914.793.2600. TheTemperanceCenter.com. Tarot Wisdom Gathering – 6:30-8pm. BYO Tarot deck if available. Each month a card will be chosen to discuss and journey into with open minds and hearts. $10. DG Sanctuary, 2 Lagrange Ave, Poughkeepsie. 845.473.2206. DreamingGoddess.com. Winter Solstice Ceremony and Community Celebration – 7-9 pm. Drumming circle, potluck food and conversation in community. All ages. BYO drum or rattle. StarVisions and KatonahSPACE. 44 Edgemont Rd, next to Katonah Methodist Church, Katonah. 914.236.4503. StarVisionsCommunity.org. New Moon Manifestation – 7-8pm. Together we manifest our hearts desires with the creative energies of the New Moon. $10 newcomer fee. DG Sanctuary. 2 Lagrange Ave, Poughkeepsie. 845.473.2206. DreamingGoddess.com. New Year’s Fire Ceremony – 11am. Help us send the intentions collected on the yule wreath to the universe. Event takes place at another location; call for directions. Hands of Serenity Healing, Fishkill. 845.896.1915. HandsOfSerenityHealing.com. The following events appear in Natural Awakenings – Westchester, Putnam, Dutchess NY, October 2016 Edition. Embrace Recovery Yoga – 11:30am-1pm. Tuesdays in November. A yoga and meditation class for woman on the recovery path whose lives have been impacted by alcohol addiction. Learn yogic “tools” in a supportive environment. $20. Dragonfly Wellness Yoga Studio, 109 Croton Ave. Ossining. Info: 914.523.2251. Alternative Medicine for Chronic Lyme Disease – 6:30-8pm. Dr. David Connell discusses the health effects of Lyme Disease as well as preventative and alternative measures. Registration required: 845.225.8585. Kent Public Library, 17 Sybil’s Crossing, Kent Lakes, kentlibrary.org. Teen Yoga & Mindfulness – Nov 3, 17, Dec 1 and 15. 5-6pm. Learn to slow down and increase awareness, to use breath to find calm during times of challenge and more. Grades 5 and up. Bring mat. Somers Library. Register: 914.232.5717. SomersLibrary.org. Holistic Moms Meeting: What Is Slow Medicine Therapy? – 7:30pm. With Psycho-spiritual counselor, Robin Queen Finkelstein of SunRaven in Bedford specializing in relationship therapies for couples and families. Rye Free Reading Room, 1061 Boston Post Rd. HolisticMoms.org. AHIMSA Yoga and Music Festival – Nov 4-6. 6pm/Fri-6pm/Sun. Celebrating yoga and music while promoting traditional and emerging yoga styles. 70 classes by over 40 teachers, plus 10 musical acts. Hunter Mountain, 64 Klein Ave, Hunter. Tickets/info: AhimsaYogaFestival.com. Spinal Zap – 7-8:30pm. With Brett Bevell. Receive this amazing group energy healing of karmic release. $30 preregistration. $35 door. The Center for Health and Healing, Mt Kisco. 914.864.0462. Center4Healing.net. Basic Jin Shin Do Bodymind Acupresssure Class – Nov 5, 6, 12, 13 19. 9am-6pm. Learn 55 acu-points, Strange Flows, Qi Kung routine and more. 40 CEs for LMTs. Class for professionals. Westchester Community College/Continuing Education. Register: 914.606.6830. Info: AvrasWay.MassageTherapy.com. Holistic Prevention of Chronic Illness – 9am-1pm. NCC 2040-01/KSU $45. $10 plus materials. Kingston Center of SUNY Ulster, 94 Mary’s Ave, Kingston. Info: 845.339.2025. Register: SunyUlster.Edu/ce. Basic Yoga – 10:30-11:30am. With Kelly McGovern. Introductory vinyasa class emphasizing the connection between breath and movement, focusing on linking postures and alignment. Audit $25 or six-week series. Wainwright House, Rye. Wainwright.org. Trauma Informed Yoga Teacher Training – Noon-5pm. With Crossover Yoga Project. Learn mindful tools to support the well-being for communities affected by trauma. $150. Dragonfly Wellness, 109 Croton Ave. Ossining. 914.236.3511. DragonflyWellness.net. Fishkill Cares for Cats – 12-4:30pm – Community day. Feline drop off for services (by appointment only) 7:15-8:15am, pick up 4-4:30pm. Parish house of Trinity Episcopal Church, 5 Elm St in Fishkill. Info: soundearth.com/fishkillcares, or Althea 845.705.5020. Eternal Life and a Course in Miracles – 1-4pm. With Jon Mundy, Ph.D. Learn what this class has to tell us about heaven. $45/$48. Wainwright House, Rye. Wainwright.org. Learn Spiritual Protection – 2:30-4:30pm.With Angela Pizzarello. $40. Synchronicity, 1511 Rte 22 Brewster. RSVP: 845.363.1765. Info: SynchronicityNY.com. Shamanic Energy Healing – 10am-5pm. With Jonathan Hammond, international shamanic teacher. Workshop guiding participants into deeper alignment with self, the earth and the cosmos. $150. The Center for Health and Healing, Mt Kisco. Registration: 914.864.0462. Center4Healing.net. Magical Awakening Level II Training – 11:30am-3:30pm. With Brett Bevell. $200. Synchronicity, 1511 Rte 22 Brewster. RSVP: 845.363.1765. Info: SynchronicityNY.com. Dharma Sunday School – 12:30-2pm. Explore concepts like kindness, compassion and gratitude. Ages 5 and up. Donation. SkyBaby Studio, 75 Main St, Cold Spg. 845.265.4444. SkyBabyYoga.com. Blessing Bowls – 1pm. Decorate bowls with symbols and words expressing gratitude. Learn a ritual to share with family and friends. $30 includes supplies and handouts. Hands of Serenity Healing, 1129 Main St, Fishkill. Register: 845.896.1915. HandsOfSerenityHealing.com. Teen Yoga, Meditation and Empowerment – Through Dec 18. 1-2:30pm. With Crossover Yoga Project. Weekly yoga, MSBR and discussion for kids ages 12-18. $100 five-weeks. PranaMoon Yoga, 1000 N Division St, Ste 2H, Peekskill. 914.319.4010. CrossOverYogaProject.org. Women’s Empowerment Circle – 2:30-5pm. Explore 5th/6th charka’s to awaken creative identity and true voice. Strong vinyasa, forward bends, winding down with restorative yoga. $30. SkyBaby Studio, 75 Main St, Cold Spg. 845.265.4444. SkyBabyYoga.com. Dream Interpretation Workshop – 3-5pm. With David Young. Learn to interpret meaning behind symbols received from subconscious mind. $30 advance. $35 door. Unitarian Universalist Fellowship, 236 S Bedford Rd, Rte 172, Mt Kisco. 914.236.4503. StarVisionsCommunity.org. Sacred Pipe Ceremony – 3-5pm. Offer prayers and gratitude to the universe. Free. However, it is customary to bring a small token such as: herbs, chocolate, tobacco. DG Sanctuary. 2 Lagrange Ave, Poughkeepsie. 845.473.2206. DreamingGoddess.com. Dream Interpretation Workshop with David Young – 3-5pm. Learn to interpret the deeper meaning behind symbols received from subconscious. One flute meditation included. Advance $30: starvisionscommunity.org or $35/door. Unitarian Universalist Fellowship, 236. S. Bedford Rd., Rt. 172, Mt. Kisco. 914.236.4503. Funky Flow Yoga – 9:30-10:30am.With Sinda Anzovino. All levels creative flow class. Breath and alignment based. Set to upbeat eclectic funky music. Express oneself. Audit $25 or seven-week series. Wainwright House, Rye. Wainwright.org. Fundraiser for the Nicaragua Sensory Garden Project – 6:30-10pm. Food, door prizes, live jazz, silent art auction. $20 pre-sale; $30 door. The Mill, 583 Warburton Ave, Hastings on Hudson. Search on Eventbrite.com. Tea & Stones – 6:30pm. Lecture to connect and learn about gems, stones and their incredible properties. Free. Dreaming Goddess 44 Raymond Ave, Poughkeepsie. 845.473.2206. DreamingGoddess.com. Qi Gong Classes – Nov 8 and 22. 6:30-7:30pm. Sacred Space Healing Arts Studio, 436 Main St, Beacon. $10. Lorraine: 845.416.4598. Info: EmpoweredByNature.net. Tai Chi & Qigong – 7-8:30pm.With Jim Russo. Learn a 2000 year old exercise to strengthen the heart and circulatory system, based on the five elements and movements of the crane. Free. Quest Yoga Arts, 11 E Main St, Mt Kisco. Register: 914.241.9642. QuestYogaArts.com. Food & Water Watch Volunteer Meeting – 6-7:30pm. Projects include working to ban fracking pipelines and stopping the Trans-Pacific Partnership. Ethical Culture Society of Westchester, 7 Saxon Wood Rd, White Plains. RSVP Greta Zarro 347.774.4597. Info: FoodAndWaterWatch.org. Reiki Reboot – 6:30-9:30pm. Individual attunements, meditation, hands-on Reiki circle and breathing exercises to amp up one’s vibe before the holidays. All levels of attunement. $55. DG Sanctuary, 2 Lagrange Ave, Poughkeepsie. 845.473.2206. DreamingGoddess.com. Mental Health Association Community Conversation – 7pm. For individuals and families whose children have significant mental health issues. Free. Eileen Fisher Learning Lab in Irvington. Register: MHAWestchester.org. Restorative Yoga for Trauma – Nov 11-13. 7pm. 10-Hour Training for Yoga Teachers with Aline Marie. Learn anatomy and neuroscience of trauma, beneficial prop techniques and more. $275. Inner Balance Studio, 1072 Rte 311, Patterson. 845.878.7800. InnerBalanceStudio.org. Mala & Merriment Making Workshop – 7-9pm. Inspiring workshop to learn to make a mala. Choose from a variety of gemstones and beads. Refreshments will be served. $50. Quest Yoga Arts, 11 E Main St, Mt Kisco. Register: 914.241.9642. QuestYogaArts.com. Reiki 1 & 2 – 10am-4pm. With Reiki Master Marcus Feighery. $275. Synchronicity, 1511 Rte 22 Brewster. RSVP: 845.363.1765. SynchronicityNY.com. Family Yoga & Mindfulness – Noon-1pm. All levels, ages. Explore standing poses, sun salutations, partner poses, breathing and relaxation techniques and fun, interactive yoga games. Somers Library. Register: 914.232.5717. SomersLibrary.org. Chakras and Healing – 1:30-4:30pm. With Shari Friedrichsen. Learn to undo energy restrictions for healing. $45 members. $65 nonmembers advance. The Yoga Studio, Club Fit, 584 N State Rd, Briarcliff Manor. Info: Audrey Brooks: 914.582.7816. YTAyoga.com. Monthly Hearth Healing Circle – 5:30-7pm. With Melanie Ryan, SRMP. Monthly Shamanic Reiki Healing Circle. Proceeds support non-profit projects working to preserve world-wide indigenous shamanic healing practices. $20 suggested. Drop-in. Mt Kisco. 914.864.0462. Center4Healing.net. Women’s Full Moon Circle – 7-8:30pm. A non-denominational monthly gathering for women. Draw in the powerful energies of the full moon. $10. DG Sanctuary. 2 Lagrange Ave, Poughkeepsie. 845.473.2206. DreamingGoddess.com. Fundamentals of Reflexology – 9am-5pm. With Susan Raskin RN. Approved by NCBTMB for 8 NY State Sponsored CEs. Learn practical skills to safely practice reflexology. For LMTs and licensed healthcare providers. Registration: $225. Mt Kisco. 914.864.0462. Center4Healing.net. Paws on Pillow: Outreach Program – 10:30-11:30am.Volunteers needed to make beds and toys for the comfort of our dogs and cats in Westchester Animal Shelters or donate items. See website for details. Wainwright House, Rye. Wainwright.org. Monthly Manifesting – 12:30-2pm. With Carla Blaha. $40. Synchronicity, 1511 Rte 22 Brewster. RSVP: 845.363.1765. SynchronicityNY.com. Ayurveda, Diet and Nutrition: Achieving Balance and Harmony – 1-3pm. Free lecture. Light refreshments will be served. Dr. Kaushik’s Ayurvedic and Naturopathic Clinic, 6 Yellow Monkey Village, 792 Rte 35, Cross River. Info: 646.670.6725. DrKaushik.com. Benefits of Aromatherapy – 5-6:30pm. Learn therapeutic benefits and how it can help relax, boost energy and mood, regulate appetite, cravings and more. $10. Hygeia Integrated Health, 3505 Hill Blvd, Ste K, Yorktown Hts. Advance registration required: 914.352.6116. Modern Day Millionaire Event – 11/14 & 11/15. With Bob Proctor at Carnegie Hall in NYC. Info: ModernDayMillionaire.com. For a $10 discount, use discount promo code CLBOBNYC. Nia: Barefoot Dancing Playshop – 10am-noon. With Jayne Mielo. Explore signature foot and base moves. Learn a bit of anatomy, foot care and relaxation tips. $32/$35. Wainwright House, Rye. 914.967.6080. Wainwright.org. StarVisions Healing Circle – 7pm. With Anne Bentzen, Reiki Master. Stress reduction and health enhancement achieved through deep relaxation. Experience natural healing. Max 18. $20. Unitarian Universalist Fellowship, 236 S Bedford Rd, Mt Kisco. Preregistration required: 914.236.4503. Young Living Essential Oil Holiday Workshop – 6-8pm. Stay balanced during the Holiday Season and truly embrace the reason for the season. Register by November 16. $10. Includes light refreshments. Info: 914.556.8258. Katonah address given at registration. Free Intro to Qigong Workshop – 7-8:30pm. With Margaret Steele. Gentle classes. Wear loose, comfortable clothes. Classical Acupuncture & Aromatherapy is located at 25 North Division St., 2nd floor, Peekskill. Register on SteeleNeedlesAcupuncture.com. Shamanic Journey Circle – 7-9pm.Through rhythmic drumming in guided meditation, transcend conscious state and journey to meet the many helping spirits around us. No experience necessary. $20. DG Sanctuary. 2 Lagrange Ave, Poughkeepsie. 845.473.2206. DreamingGoddess.com. The 72 Archangel of the Kabbalah: Discover Your Birth Angel Workshop – 7-9pm. With Shaman Elka Boren. $35. Synchronicity, 1511 Rte 22 Brewster. RSVP: 845.363.1765. Info: SynchronicityNY.com. Protect the Righteous Qi – 9am-1pm. L Hughes, instructor. Holistic prevention of chronic illness. LES458. (5652 90) $49. Dutchess Community College, South. Register with school: 845.431.8910. SunyDutchess.edu/cfweb. Teaching Yoga & Mindfulness to Youth – 1-3pm Teachers, support staff and parents learn to guide kids through simple breathing techniques and yoga moves. $50. Quest Yoga Arts, 11 E Main St, Mt Kisco. Register: 914.241.9642. QuestYogaArts.com. Community Happening Day at Dutchess Yoga – 10am-2pm. Day of yoga, meditation, pie, coffee and tea with the community and owner Sandy Sooknanan. Dutchess Yoga, in the Lynn Building, 1575 Rte. 376 (at Angels Hill Rd), Wappingers Falls. Info: DutchessYoga.com. Introduction to Conscious Parenting – 5-6:30pm. Learn philosophy, tools and techniques of Conscious Parenting and how it helps raising happy, healthy, confident children. $10. Hygeia Integrated Health 3505 Hill Blvd, Ste K, Yorktown Hts. Advance registration: 914.352.6116. Restorative Workshop – 5-7pm. With Karla Diamond. Powerful practice that everyone can benefit from, regardless of age or fitness level. $35 advance. $40 door. Quest Yoga Arts, 11 E Main St, Mt Kisco. Register: 914.241.9642. QuestYogaArts.com. Faerie Friday – 1pm/Faerie Lanterns; 3pm/Faerie Journals. Season with magickal faerie energy. $15 per class. $25 for both. Faerie fans of all ages. Hands of Serenity Healing, 1129 Main St, Fishkill. Register: 845.896.1915. HandsOfSerenityHealing.com. Serenity Saturday – Noon-6pm. Season in light and balance. Crystal Reiki sessions all day. Energy exchange. $50, half donated to families in need. Reserve space. Hands of Serenity Healing, 1129 Main St, Fishkill. Register: 845.896.1915. HandsOfSerenityHealing.com. Psychic Sunday – Noon-6pm. Day of insight and healing with our readers. $25, half donated to families in need. Hands of Serenity Healing, 1129 Main St, Fishkill. Register: 845.896.1915. HandsOfSerenityHealing.com. Slow Medicine for Men: A Men’s Group – Group provides the opportunity for men to awaken, while cultivating deep and meaningful relationships with other conscious men. $30. 501 Guard Hill Rd, Bedford. 914.218.3113. SlowMedicine.org. Slow Medicine Family Healing – This program incorporates a whole systems approach, supporting and nourishing the entire family in all aspects of the life together within the home. 501 Guard Hill Rd, Bedford. Info/details: 914.218.3113. SlowMedicine.org. Roland Comtois – 6-8:30pm. Internationally renowned medium and spirit guide delivers channeled messages for the soul and famous Purple Papers offer eternal love, hope and healing. $80. Bedford Presbyterian Church, Village Green, Bedford. 914.236.4503. Register StarVisionsCommunity.org. New Moon Gatherings – 7-8:30pm. With Pamela Cucinell. Weaving together mythological stories, color, sound and guided meditation. Focus on goals and carefully seed one’s potential $32/$35. Wainwright House, Rye. 914.967.6080. Wainwright.org. Slow Medicine for Couples – 7-9pm. Through the principles of Slow Medicine, learn the keys to a successful relationship and how to incorporate that into daily life. $50 per couple. 501 Guard Hill Rd, Bedford. 914.218.3113. SlowMedicine.org. Anatomy Trains for Movement Specialists – Oct 1 & 2. 9am-5pm/Sat; 8am-4pm/Sun. With Laurice Nemetz. Movement, Stability, coordination, understanding fascia, myofascial meridians, connective tissue “BodyRead” posture and movement etc. $400. Wainwright House, Rye. 914.967.6080. Wainwright.org. Taste The Fall! – 10am-2pm. Saturdays in Oct. Local artisan vendors provide tastings and foods for sale. Hilltop Hanover Farm & Environmental Center, 1271 Hanover St, Yorktown Heights. Info: 914.962.2368. HilltopHanoverFarm.org. Mediumship Circle – 10-11:30am.With Joann Fiallo. $35. Synchronicity, 1511 Rte 22, Brewster. Info/RSVP: 845.363.1765. SynchronicityNY.com. New Moon Meditation – 5-6pm. With Amy Benesch by Donation. Synchronicity, 1511 Rte 22, Brewster. Info/RSVP: 845.363.1765. SynchronicityNY.com. Annual Support-A-Walk – Three-mile walkathon to help those living with breast and ovarian cancer. Proceeds help fund free programs and services for people affected by these cancers. All welcome. FDR Park, Yorktown Hts. 914.962.6402. SupportConnection.org. Monthly Manifesting – 12:30-2pm.With Carla Blaha. $40. Synchronicity, 1511 Rte 22, Brewster. Info/RSVP: 845.363.1765. SynchronicityNY.com. Restorative Yoga and CBT – 2-5pm. With Soledad. Workshop will introduce the fundamentals of Cognitive Behavioral Therapy (CBT) and Restorative Yoga. $50. Quest Yoga Arts. 11 E Main St, Mt Kisco. Preregister: 914.241.9642. QuestYogaArts.com. Mindfulness and Meditation Bootcamp – 6 Wednesdays (no class Oct 12) 11am-12:30pm. With Jodi Baretz. Learn to respond rather and react, gain clarity and attain more joy, peace and fulfillment in life. The Center for Health & Healing, 4 Smith Ave, Mt. Kisco. $375. Info: 917.974.9446. Reiki Circle – 7pm. Open to all who have had at least a Level I attunement. Meet with other Reiki practitioners and share Reiki energy. $10 donation. Hands of Serenity Healing, 1129 Main St, Fishkill. Register: 845.896.1915. HandsOfSerenityHealing.com. Shamanic Dreaming: Journeying to the Animal Guardians – 7-9:30pm. Connect with one’s animal guardian. Learn how to heal and reclaim lost energy. Shamanic group journey $36/$40. Wainwright House, Rye. 914.967.6080. Wainwright.org. Natural Tones Meditation – 7-7:45pm. 10-week course. Meditation based on The Yoga of Sound. According to ancient sound healing, harmonic overtones bring about a shift in consciousness promoting wellbeing. $15/per week. Wainwright House, Rye. 914.967.6080. Wainwright.org. Shapeshifting for Happiness – 6:30-8:30pm. With Alexandrea L’Clere. $35. Synchronicity, 1511 Rte 22, Brewster. Info/RSVP: 845.363.1765. SynchronicityNY.com. Unwind Workshop – 6:30-8pm. We will “roll” stiff, tired muscles in patterned sequences to help one’s entire skeleton decompress as muscles unwind. $20. SkyBaby Yoga, 75 Main St, Cold Spg. 845.265.4444. SkyBabyYoga.com. This is Spinal Zap a Group Karmic Release – 7-8:30pm. With Brett Bevell, international Reiki master and energy healer. Relax, lie down, and receive care from the Universe. $30 preregistration. $35 door. Mt Kisco. Center4Healing.net. The Healing Art of Yoga Nidra – 7-9pm. With Amy Pearce-Hayden. Relaxation and the Art of Deep Relaxation can be some of the most beneficial work in yoga one can do for healing. $35. Inner Balance studio, 1072 Rt. 311, Patterson. Preregister: 845.878.7800. innerbalancestudio.org. Vinyasa, Meet: Alignment, Alignment, Meet: Vinyasa – 9-11am. With Amy Pearce-Hayden. Let the worlds collide. It’s time to play, explore, ground, and flow—in no order of importance. $30. Inner Balance studio, 1072 Rt. 311, Patterson. Preregister: 845.878.7800. innerbalancestudio.org. Soul Level Animal Communication Readings – 10am-3pm. With Anne Quick. $60 Synchronicity, 1511 Rte 22, Brewster. Info/RSVP: 845.363.1765. SynchronicityNY.com. Working with the Subtle Systems: Chakras and The Emotional Body – 11:30am-2pm. With Amy Pearce-Hayden. Knowing the Self – uncover the SEVEN aspects of the Self. $40. Inner Balance studio, 1072 Rt. 311, Patterson. Preregister: 845.878.7800. innerbalancestudio.org. RCYS Certification for Teaching Yoga to Children & Teens – Oct 8 & 9. 12:30-6:30pm. Four-weekend modules, plus integrative work. Modules can be taken independently. $1695/$1795. Wainwright House, Rye. 914.967.6080. Wainwright.org. Handcrafted Yoga – 1:30-4:30pm. With Al Bingham. Hosted by Yoga Teachers Association. Learn to individualize movement, breath and rest practices to reveal state of yoga within each practitioner. The Yoga Studio, Club Fit, Briarcliff Manor. Register/pricing options: 914.582.7816. YTAYoga.com. Reiki Healing Circle – 3-5pm. Hosted by Gail Christie, Reiki master. Release stress, regain peace and inner joy. No prior experience. $20 suggested. Stern Wellness Center, 20 N Salem Rd, behind DeCicco’s market, Cross River. RSVP: 914.763.8000. SternWellnessCenter.com. Animals are Teachers Class – 4-5:30pm.With Anne Quick. $20. Synchronicity, 1511 Rte 22, Brewster. Info/RSVP: 845.363.1765. SynchronicityNY.com. Befriend Your Life’s Path to Live with Purpose and Ease – 11:30am-1pm. With Amy Pearce-Hayden. Workshop explores how to view obstacles as signs on the map for correct and better direction. $30. Inner Balance studio, 1072 Rt. 311, Patterson. Preregister: 845.878.7800. innerbalancestudio.org. The Mind Lab Thought Experiments: Change Your Thoughts Change Your Life – 1-4pm. With Psychic Joan Carra. Analyze thoughts and beliefs creating new ones with visualization, hypnotic suggestion and EFT. Wainwright House, 260 Stuyvesant Ave, Rye. Info: 914.967.6080. Wainwright.org. Drumming Circle – 3:30-5pm.With Amy Benesch $20. Synchronicity, 1511 Rte 22, Brewster. Info/RSVP: 845.363.1765. SynchronicityNY.com. Smart Phone. Smart Posture – 5:30 & 7pm. Introductory talk on the Alexander Technique. Learn useful tips for better body awareness and smart moves while using phone. $25. Quest Yoga Arts, Mt Kisco. Register, Karla Booth: 914.649.9565. The 72 Archangel of the Kabbalah Workshop – 7-9pm. With Shaman, Elka Boren $35. Synchronicity, 1511 Rte 22, Brewster. Info/RSVP: 845.363.1765. SynchronicityNY.com. 2nd Annual Health & Wellness EXPO –11am-4pm. 100.7 WHUD, 107.1 PEAK at the Jefferson Valley mall, Yorktown Heights. Info: whud.com/health. Putnam Valley’s 7th Annual Psychic Fair – 11am-4pm. German American Social Club, 11 Kramers Pond Rd, Putnam Valley. Readers and vendors of all types. Free admission. Info: apracticalpsychic.com. Soul Play – 11:30am- 4:30pm. Monthly gathering to nurture one’s spirit. $75 register by Tues Oct 11.At a Retreat House, Cold Spring. Info: AwakenYourTrueEssence.com. Odds & Ends Indian Cooking Class – 2-4pm. Join celebrated Indian Chef Rinku Bhattachara. Learn to use bits and pieces of harvest to created beautiful well-seasoned Indian soul Food. $35. Register: 914.962.2368. Hilltop Hanover Farm & Environmental Center, Yorktown Heights. Katonah SPACE Free Vision of Hope Healing Circle – 2-5pm. For those with life threatening illness, their caregivers and family members. Up to twenty NY/CT Reiki practitioners offer group healing on First come, first serve basis. Fellowship Hall Bldg, Katonah Methodist Church, 44 Edgemont Avenue, Katonah. Info: 914.588.4079. starvisionscommunity.org. Awakening To Mediumship – 6-7:30pm. With Elka Boren $35. Synchronicity, 1511 Rte 22, Brewster. Info/RSVP: 845.363.1765. SynchronicityNY.com. Radical Aliveness – Oct 16-21. With Ann Bradney. Discover a bold new approach to fearlessly be one’s true self and love it. Omega Institute, 150 Lake Dr, Rhinebeck. 877.944.2002. eOmega.org. Shamanic Reiki Healing – Oct 16-21. With Llyn Roberts and Stacey Gibbons. Learn to master Shamanic Reiki healing skills in this professional practitioner training. Omega Institute, 150 Lake Dr, Rhinebeck. 877.944.2002. eOmega.org. Full Day Meditation Retreat – 10:30am-4:30pm. With Melanie Ryan. Learn to settle the busy mind and gain mental stability, strengthen, and clarity. Sitting and walking meditations. No experience necessary. $150. BYO bag lunch. Mt Kisco. Center4Healing.net. Structural Yoga Remedies – 1-5pm. With Lee Albert, NMT. Learn specific yoga postures so ailments such as back pain, neck pain and more can melt away. Quest Yoga Arts. 11 E Main St, Mt Kisco. Register/fee info: 914.241.9642. QuestYogaArts.com. Healing Circle with the Fairies: Build a Fairy Garden – 5-7pm.With Elka Boren. $35. Synchronicity, 1511 Rte 22, Brewster. Info/RSVP: 845.363.1765. SynchronicityNY.com. Introduction to the Alexander Technique – Oct 17-Nov 21. With Karla Booth Diamond. Learn postural integration and skills to apply it in daily activity to move with greater ease. Chappaqua Continuing Education. $150 six-weeks. Chappaqua.K12.NY.com. Register under self-help. Essential Oils 101 – 6-7pm. Learn about Essential Oils. Free beginner’s workshop on plant-based solutions. Stern Wellness Center, 20 N Salem Rd, behind DeCicco’s market, Cross River. RSVP: 914.763.8000. SternWellnessCenter.com. Young Living Essential Fall Workshop: Support your Immune System – 6-8pm, Thieves Essential Oil Blend provides safe and effective alternative uses in the home. Register by Oct 15 to receive a free gift. $10 includes light refreshments. Katonah. Register: 914.556.8258. Tea & Stones – 6:30pm. Hour lecture to connect and learn about gems, stones and their incredible properties. Free. Dreaming Goddess 44 Raymond Ave, Poughkeepsie. Info: 845.473.2206. DreamingGoddess.com. The Perfect Storm Lecture by Dr. Seth Pearl – 7:30pm. Discover the factors that could lead to Autism, ADHD, Sensory Processing Disorders, and Special Needs and what can be done about it. Optimal Health at Larchmont Wellness, 2179 Boston Post Rd, Larchmont. RSVP: Kim 914.777.3200; drsethpearl.com. Farm-to-Table to honor Brett Alcaro – 6-10pm. The evening includes delicious seasonal tapas “small” dishes/tastings from local chefs and restaurants, paired with artisanal beer and wine. Proceeds go to Brett Alcaro Farmer Scholarship fund and the Alcaro family. $75. Info: 914.962.2368. A Buddhist Approach to Compassion Resilience – Oct 21-23. With Dzogchen Ponlop Rinpoche, David Kaczynski and Michaela Haas. Find strength and capacity to build bridges of healing in the world. Omega Institute, 150 Lake Dr, Rhinebeck. 877.944.2002. eOmega.org. Playing the Matrix – Oct 21-23. With Mike Dooley. Gain insight and skills to create major life changes through the power of manifestation. Omega Institute, 150 Lake Dr, Rhinebeck. 877.944.2002. eOmega.org. The Full Scope of Yoga – Oct 21-23. With Colleen Saidman and Rodney Yee. Explore yoga as a spiritual and physical journey with two of nation’s most respected yoga teachers. Omega Institute, 150 Lake Dr, Rhinebeck. 877.944.2002. eOmega.org. Community Reiki Circle – 7-8:45pm. With Beryl Hay and Deborah Fusco-Amjadi. Reiki a Natural Healing System. Circle brings together like-minded souls to share in collective consciousness using Reiki energy. Monthly. $20 suggested price. Mt Kisco. Center4Healing.net. Shamanic Journey Circle – 7-9pm. Through rhythmic drumming in guided meditation, transcend conscious state and journey to meet the many helping spirits around. No experience necessary. $20. DG Sanctuary. 2 Lagrange Ave, Poughkeepsie. 845.473.2206. DreamingGoddess.com. Square Dance and Dinner – 4:30-7pm. Good ole fashion family fun! Live music with Liz Spade Square Dance Caller. Bring a picnic dinner and join in for desserts, drinks (cash bar). $10/adults, $5/children. Hilltop Hanover Farm & Environmental Center, 1271 Hanover St, Yorktown Heights. HilltopHanoverFarm.org. Register: 914.962.2368. Hearth Healing Circle – 5:30-7pm. With Melanie Ryan. Spiritual home where we come together in community to connect with heart and earth. 70% proceeds go to eomec.org to preserve teachings of indigenous shamans. $20. Mt Kisco. Center4Healing.net. Higher Self Connecting Circle – Oct 23, Nov 6, 20 and Dec 4. 11am-1pm. Two-mos program. Shift vibration and align with higher self. Includes four group meetings and four individual coaching sessions. At a Retreat House, Cold Spg. AwakenYourTrueEssence.com. The Power of Ritual Workshop – Noon-2pm.With Angela Pizzarella. $40. Synchronicity, 1511 Rte 22, Brewster. Info/RSVP: 845.363.1765. SynchronicityNY.com. Tarot for Beginners – 12:30-3:30pm. Six month series exploring the Tarot, discovering and deepening intuition. No experience necessary. $270 if paid in full. Preregistration required. DG Sanctuary. 2 Lagrange Ave, Poughkeepsie. 845.473.2206. Info: DreamingGoddess.com. A Candle to Light the Way – 1-5pm. Create candles to keep that light burning and keep our homes illuminated. $30. Hands of Serenity Healing, 1129 Main St, Fishkill. Register: 845.896.1915. HandsOfSerenityHealing.com. Restorative Workshop – 5-7pm. With Karla Booth Diamond. Powerful practice everyone can benefit from, regardless of age or fitness level. $25 preregistered. $30 day of. Quest Yoga Arts. 11 E Main St, Mt Kisco. Register: 914.241.9642. QuestYogaArts.com. Women’s Stitch Ministry – 6pm. Creating healing shawls being donated to local nursing homes, shelters and hospitals. Beginner-experienced yarn workers welcome. BYO crochet/knitting supplies. Free. Hands of Serenity Healing, 1129 Main St, Fishkill. Register: 845.896.1915. HandsOfSerenityHealing.com. The Perfect Storm Lecture by Dr. Seth Pearl – 6pm. Discover the factors that could lead to Autism, ADHD, Sensory Processing Disorders, and Special Needs and what can be done about it. Mamaroneck Library, 136 Prospect Ave. RSVP: Kim 914.777.3200; drsethpearl.com. Herbal Magic Gathering – 6:30-7:30pm. Monthly hour lecture and mini workshop working with a specific herb, discussion of properties, uses and often basic how-to’s. Free. Dreaming Goddess, 44 Raymond Ave, Poughkeepsie. 845.473.2206. DreamingGoddess.com. Learn to Take Control of the Gift of ADHD: Understanding and Managing the Ferrari Brain – With Dr. Seth Pearl. 6:30pm. Modulate and shift the nervous system and develop a plan to help access natural gift inside. Office of Barger and Gaines, 30 South Broadway, Irvington. RSVP: Kim 914.777.3200; drsethpearl.com. What Is Osteopathic Manipulative Medicine – 7:30pm. Learn how OMM alleviates pain, helps avoid surgery and more. 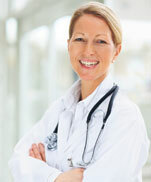 Dr. Katherine Scoville, DO provides gentle, powerful hands-on treatment restoring full body alignment. Rye Free Reading Room, 1061 Boston Post Rd. HolisticMoms.org. Channeling from the Elohim of Light – 7-9pm. StarVisions hosts sound healer and professional channel Carol Essig. Each person will receive a personal message. $40 Unitarian Universalist Fellowship, 236 South Bedford Rd., Mt. Kisco. Register: starvisionscommunity.org. 914.236.4503. Mediumship Circle – 7-8:30pm.With Carla Blaha. $40. Synchronicity, 1511 Rte 22, Brewster. 845.363.1765. Info/RSVP: SynchronicityNY.com. Soups and Stews Indian Style – 2-4pm. With Indian Chef Rinku Bhattachara. Learn how to turn your favorite foods into delicious stews. Register: $35. Info: 914.962.2368. HilltopHanoverFarm.org. Hilltop Hanover Farm & Environmental Center, 1271 Hanover St, Yorktown Heights. Yin Yoga Nidra Essential Oils Workshop with Live Music – 4-6pm. Yin Yoga, Yoga Nidra, essential oils and live music to calm mind, body and spirit and reducing stress.$35. Quest Yoga Arts 11 E. Main St. Mt. Kisco. Register: questyogaarts.com or 914.241.9642. Kirtan: Fall Celebration – 6-7:15pm. With Tejase, Acoustic guitar, bass, percussion, and harmonium. $15. The Temperance Center, 453 White Plains Rd, Ste 203, Eastchester. RSVP: 914.793.2600. TheTemperanceCenter.com. Samhain Ritual – 7pm. Travel together upon the wheel into time of darkness. Hearing her call to begin spiraling within—deep within the time of personal reflection. $10. UU Fellowship. 67 S Randolph Ave, Poughkeepsie. 845.473.2206. DreamingGoddess.com. New Moon Kiran – 7-8:30pm. With Sita’s Light. Community gathering of powerful new moon energy, soulful music, and sacred chanting. Experience sacred sounds that clear the mind and heart. $25. Mt Kisco. Center4Healing.net. Level 1 Training – 11am-3pm.With Healer and Author Brett Bevell Magical Awakening. $200. Synchronicity, 1511 Rte 22, Brewster. Info/RSVP: 845.363.1765. SynchronicityNY.com. Costume Halloween Party: Downtown Bedford Hills – Noon-6pm. Music, fun, games and prizes. All ages. No charge. Dress to impress. Sponsored by Custom Candles. 46 Depot Plaza, Bedford Hills NY Train Station. Info: 914.218.8357. Halloween Family Yoga – 12:30-1:30pm. With Denise Nobile. Class with age appropriate yoga poses, movement games, breathing and relaxation. Ages 4-12 accompanied by adult. Quest Yoga Arts. 11 E Main St, Mt Kisco. Preregister/fee info: 914.241.9642. QuestYogaArts.com. New Moon Meditation – 4-5pm. With Amy Benesch. By donation. Synchronicity, 1511 Rte 22, Brewster. 845.363.1765. SynchronicityNY.com. Introduction to Biofeedback – 5-6:30pm. Learn how biofeedback helps students with performance anxiety, improving focus and concentration in schoolwork, exams, and sports. Free. Hygeia Integrated Health, 3505 Hill Blvd, Ste K, Yorktown Hts. Register: 914.352.6116. Introduction to Community Acupuncture and Meditation – 5-6:30pm. Discussion and demonstration on benefits of acupuncture for stress reduction, digestive issues and more. $30. Hygeia Integrated Health 3505 Hill Blvd, Ste K Yorktown Hts. Advance registration: 914.352.6116. Shamanic Energy Healing – 10am-5pm. With Jonathan Hammond. Experiential, heart-centered workshop, learn fundamental practices of shamanic energy healing, including meditations, journeys and hands-on techniques. Info: 914.864.0462. Center4Healing.net. The following events appear in Natural Awakenings – Westchester, Putnam, Dutchess NY, September 2016 Edition. James Pulley Art Exhibit – Sept 1-30. The Columbus Framing Gallery is exhibiting the paintings of intuitive healer and artist James Pulley. Contact James at 914.356.6830. Gallery is located at 24 Columbus Ave., Tuckahoe. Reiki Master Class – Sept 3 and 4. 10am-4pm. With Reiki Master Marcus Feighery. $675. Synchronicity, 1511 Rte 22 Brewster. RSVP: 845.363.1765. SynchronicityNY.com. Dharma Sunday School – 12:30-2pm. Explore concepts like kindness, compassion and gratitude. Ages 5 and up. SkyBaby Yoga Studio, 75 Main St, Cold Spg. 845.265.4444. By donation: SkyBabyYoga.com. Open Dance Party – 2:30-4:30pm. All ages. DJ provides the beats and vibrations to set us on a journey of self-expression. $10. SkyBaby Yoga, 75 Main St, Cold Spg. 845.265.4444. SkyBabyYoga.com. Intro to MELT: The MELT Method – 5:30-6:30pm. Designed to eliminate chronic pain, stiffness, headaches, insomnia and digestive issues and more. Space limited. Preregistration required. $10 intro class. Riverstone Yoga, 2 Hudson View Way. 914.332.9642. RiverstoneYoga.com/Events. Six Dynamics of Health and Longevity – 7-8pm. The Town of Southeast Cultural Arts, Sophia Natural Health Center will present on nutrition, exercise and more. Free. Studio Around the Corner, 67 Main St, Ste 101, Brewster. Info: 845.363.8330. oththeater.org. Support Group for Elder Caregivers – Sept 6-Nov 29. 7-9pm. Led by Grace Cognetta, RN. Every other Tues. Elder Care Connection, 336 Rte. 202, Ste. 3, Somers. Register: 914.669.5200. ElderlyManagement.com. Reiki II – 11am-6pm. Learn Reiki symbols, chakra balancing, history taking and client confidentiality. Experience a guided meditation with Reiki symbols. Reiki I prerequisite. $140. Hands of Serenity Healing, 1129 Main St, Fishkill. Register: 845.896.1915. HandsOfSerenityHealing.com. Salty Yoga Class – 11:30am. All levels. Unique and beneficial class combines the benefits of dry salt therapy and yoga. $35 advanced. $40 same-day. Breathe Salt Rooms, 200 Katonah Ave, 2nd Flr, Katonah. Info: 914.232.5600. BreatheSaltRooms.com. Restorative Yoga for Deep Relaxation – 7-8:30pm. Meditation with instruction Sept 15. Reiki Circle, all levels, Sept 29. Exchange: one class pass, purchase online. $20 walk-in. Sacred Spirit Yoga and Healing Arts Center, 343 Broadway, Dobbs Ferry. SacredSpiritYogaCenter.org. 200-hour Teacher Training at Tovami Yoga – Lila Tandava Teacher Training at Tovami Yoga with Colleen Breeckner, Laurice Nemetz and Christopher Tompkins. Tovami Yoga, 112 West Boston Post Rd. at Mamaroneck Avenue in Mamaroneck. Info: 914.618.4887. TovamiYoga.com. Meditation Training – On certain weekends Sept. through Nov. Boston Buddha’s meditation training and support to deepen the power to shape one’s mind, experience and more. Space limited. Riverstone Yoga, 2 Hudson View Way. 914.332.9642. RiverstoneYoga.com/Events. One Light Healing Touch School – Enroll now. School meets Sept-March. Karen Ransom and Sharon Johnston co-teach 18-day school. Learn advanced energy healing techniques for healing oneself and others. 50 NCBTMB CEUs. Rhinebeck. Register, Karen: 914.489.3559. RhinebeckBowenWork.com. One Spirit Medicine – Sept 9-11. With Alberto Villoldo. Learn how to wire one’s brain for bliss with what the shamans call One Spirit Medicine. Omega Institute, 150 Lake Dr, Rhinebeck. 877.944.2002. eOmega.org. The Power of Forgiveness – Sept 9-11. With Panache Desai and J. Ivy. Break the cycle of pain, harness the power of forgiveness and move into a place of limitless possibility. Omega Institute, 150 Lake Dr, Rhinebeck. 877.944.2002. eOmega.org. Open House: RYT-200 Hr Yoga Training Overview – 7-8:30pm. Come meet the teachers, learn about the curriculum. Free. Wainwright House 260 Stuyvesant Ave, Rye. 914.967.6080. Wainwright.org. Spiritual Healing Training: Enrollment – Sept 10-Dec. With Eileen O’Hare, legacy carrier. Training: 2nd Sat for 12 months. Mesayok Medicine Spiral 12 Deep personal and planetary healing Spiritual community and loving support. Beacon. Info, Eileen O’Hare: 845.831.5790. BlisSingchant.com. Intro to Yoga – 8:30-9:30am. Guided through breathing, core postures and the flow that links all these elements together. Every Sat for four weeks. Quest Yoga Arts, Mt Kisco. Preregister/pricing info: 914.241.9642. QuestYogaArts.com. Second Saturday Divorce Workshop – 9-11:30am. Workshop will address the legal, financial and personal issues of divorce in a logical and compassionate manner. $45. Register: SecondSaturdayWestchester.com. Grand Opening Ayurvedic Clinic – 11am-3pm. Tour, demo of Ayurvedic techniques, sampling of Ayurvedic healing foods and raffle. Dr. Kaushik’s Ayurvedic and Naturopathic Clinic, 6 Yellow Monkey Village, 792 Rte 35, Cross River. Info: 646.670.6725. DrKaushik.com. Magical Awakenings Level 1 Healing – 11:30am-3:30pm. With Teacher and Author Brett Bevell. $200. Synchronicity, 1511 Rte 22, Brewster. RSVP: 845.363.1765. SynchronicityNY.com. Soul Play Saturday – 11:30am-4:30pm. Monthly gathering to nurture one’s spirit at a retreat house. Online options for a full weekend retreat. $75 register by Tues, Sept 6. Future Soul Play: Sat Oct 15. Cold Spg. AwakenYourTrueEssence.com. Double Lecture Series: Eating Disorder Awareness and Identification and Marriage Maintenance and Harmony – 1-3pm. Wine and cheese will be served. Free. Hosted by Sirona Therapy Spa. Preregister: SironaTherapySpa.com. Trauma-Informed Yoga – 1:30-4:30pm. With Anneke Lucas. Discover how to heal all kinds of trauma. $45 members. $65 nonmembers in advance. The Yoga Studio, Club Fit, 584 N State Rd, Briarcliff Manor. Info: Audrey Brooks: 914.582.7816. YTAyoga.com. Music Relaxation Workshop – 2:15-3:30pm. Limited space, reserve space. Hosted by Sing Out International, 2013 Crompond Rd, Yorktown Hts. RSVP: 914.962.1155. hwahealthy.com. Journey Dance and Workshop – 2:30-5:30pm and 7-8:30pm.With Toni Bergins. Participants guided on a ritual journey of physical and emotional transformation. $85 workshop. $45 evening dance. The Center for Health and Healing, Mt Kisco. 914.864.0462. Center4Healing.net. Monthly Manifesting – 4:30-6pm.With Carla Blaha. $40. Synchronicity, 1511 Rte 22, Brewster. RSVP: 845.363.1765. SynchronicityNY.com. Seasonal Supper with Hayfields Market – 6-9pm. Farm-to-table dinner with musical performances by Grace McLean and Brittain Ashford. $150/ early tickets: $125. SPACE on Ryder Farm, 406 Starr Ridge Rd Brewster. Info: spaceonryderfarm.org/events. Pre-Natal Yoga – 9-10:15am. Strengthen and open, cultivating breath awareness and mind-body unity through yoga poses modified for the pregnant body. $100 four weeks. Quest Yoga Arts, Mt Kisco. Register/info: 914.241.9642. Email before first class: Info@QuestYogaArts.com. Slow Medicine Café – 10am-noon. Farm to table Sunday brunch at SunRaven: The Home of Slow Medicine, a tranquil healing environment. $25. 501 Guard Hill Rd, Bedford. 914.218.3113. SlowMedicine.org. Yoga for Peace: Reflection & Remembrance – 1-5pm. With special guest Sita’s Light Kirtan. An afternoon of practice and meditation. $25/$30. Wainwright House 260 Stuyvesant Ave, Rye. 914.967.6080. Wainwright.org. Yoga Teacher Training Open House – 3-5pm. 200 hour Yoga Teacher Training information event at Nueva Alma Yoga and Wellness. Bring a friend. Part-time (evening and Weekend format) begins October 1. 799 McLean Ave, Yonkers. Info: 914.294.0606. NuevaAlma.com. BlisSing Ecstatic Chant and Potluck Supper – 6-8pm. BlisSing is inspired by the ancient tradition of call and response chanting, known as “a shortcut to bliss.” All welcome. 27 Travis Corners Rd, Garrison. Info, Eileen O’Hare: BlisSingchant.com. Sunrise Yoga: Monday’s on the Lawn – 6:15-7:15am. With Julia. Breathtaking water views. Wainwright House 260 Stuyvesant Ave, Rye. 914.967.6080. Wainwright.org. Slow Medicine for Men – 7pm. Cultivating deep and meaningful relationships with other conscious men. $30. 501 Guard Hill Rd, Bedford. 914.218.3113. SlowMedicine.org. Yoga/Creative Play – Sept 13 and 20, Oct 4, 11, 18 and 25. Grades 1-5. Children will balance, believe and create through yoga, mindfulness, art and theater. $120. SkyBaby Yoga, 75 Main St, Cold Spg. 845.265.4444. Details/class format: SkyBabyYoga.com. Intro to Reiki – 10am-noon. With Regina DeCarlo, RMT. Westchester Community College Continuing Ed. $20. Register: 914.606.6830. Info, Regina: 917.593.5707. ReginaDecarlo.com. Salty Yoga Class – 6pm. All levels. Unique and beneficial class combines the benefits of dry salt therapy and yoga. $35 advanced. $40 same-day. Breathe Salt Rooms, 50 Livingstone Ave, 4th Flr, Dobbs Ferry. Info: 914.591.2600. BreatheSaltRooms.com. Tea & Stones – 6:30pm. Hour lecture to connect and learn about gems, stones and their incredible properties. Free. Dreaming Goddess 44 Raymond Ave, Poughkeepsie. 845.473.2206. DreamingGoddess.com. Message Circle – 7:30-9pm. With Intuitive Medium Carla Blaha. An open mind and heart is all that is needed to believe. A night of healing messages from the “otherside.” $40. Soulauras, 520 N State Rd, Briarcliff. 914.941.2400. Soulauras.com. NY Unit of the Herb Society of America presents 68th Annual Herb Fair – 11am-2pm. Book raffle, traditional lovage soup, gourmet foods, baked goods and more. Free admission. John Jay Homestead, 400 Rte 22, Katonah. Info: JohnJayHomestead.org. Salty Yoga Class – 5pm. All levels. Unique and beneficial class combines the benefits of dry salt therapy and yoga. $35 advanced. $40 same day. Breathe Salt Rooms, 200 Katonah Ave, 2nd Flr, Katonah. Info: 914.232.5600. BreatheSaltRooms.com. Meditation with Instruction – 7-8:30pm. Rotating special offerings. Reiki Circle, those new to Reiki and all levels Sept 29. Exchange: one class pass, purchase online. $20 walk-in. Sacred Spirit Yoga and Healing Arts Center, 343 Broadway, Dobbs Ferry. SacredSpiritYogaCenter.org. Saint and Angels, Stars and Ancestors Sound Healing – 7-9pm. With Eileen O’Hare, mystic, channel. Connect with celestial healing currents. $20 donation. The Healing House, 11 N Cedar St, Beacon. Info, Eileen O’Hare: BlisSingchant.com. Lessons from Oz – Sept 16-18. With Jean Houston. Explore the mythical world of Oz to discover a new sense of meaning and purpose in life. Omega Institute, 150 Lake Dr, Rhinebeck. 877.944.2002. eOmega.org. Community Reiki Circle – 7-8:45pm. With Beryl Hay and Deborah Fusco-Amjadi. Supports body’s innate healing ability. Monthly like-minded individuals share in collective consciousness using Reiki energy. $20. The Center for Health and Healing, Mt Kisco. 914.864.0462. Center4Healing.net. Archangel Healing Workshop – 7-9pm. With Shaman Elka Boren. $35. Synchronicity, 1511 Rte 22, Brewster. RSVP: 845.363.1765. SynchronicityNY.com. Intro to Essential Oils – 7-9pm. With Karine Gordineer of Green Girl Herb. Use of oils help keep people healthy and more. Make an aromatherapy inhaler. $35 supplies included. Hands of Serenity Healing, 1129 Main St, Fishkill. Register: 845.896.1915. HandsOfSerenityHealing.com. Shamanic Journey Circle – 7-9pm. Through rhythmic drumming in guided meditation, transcend our conscious state and journey to meet the many helping spirits around us. No experience necessary. $20. DG Sanctuary. 2 Lagrange Ave, Poughkeepsie. 845.473.2206. DreamingGoddess.com. Fundamentals of Self-Acupressure – 9am-6pm. Learn a 25 self-acupressure pattern plus extra points to address specific conditions. Open to general public and practitioners. 8 CEUs for LMTs and reflexologists. Westchester Community College/Continuing Education. Info, Avra Blieden: 917.923.8731. AvrasWay.MassageTherapy.com. Reiki I – 11am-6pm. Learn history of Reiki and its uses, hand positions, scanning, chakras and more. Receive Level I attunement and full Reiki treatment. $125. Hands of Serenity Healing, 1129 Main St, Fishkill. Register: 845.896.1915. HandsOfSerenityHealing.com. Intro to Arm Balance – 1-3pm. With Phoebe. Learn tools needed to fall and get back up. Gain strength, grace and courage to attempt acrobatic arm balances. Riverstone Yoga, 2 Hudson View Way. Pricing info: 914.332.9642. RiverstoneYoga.com/Events. Hearth Healing Circle – 5:30-7pm. With Melanie Ryan. Connect with heart and earth by hands on healing, sharing and meditations. 70% of proceeds to Olympic Mountain EarthWisdom Circle. $20. The Center for Health and Healing, Mt Kisco. 914.864.0462. Center4Healing.net. SunRaven Garden Workshop: Seed Collecting and Storing – 10am-noon. Learn fundamental skills for producing organic seed. $30. 501 Guard Hill Rd, Bedford. 914.218.3113. SlowMedicine.org. Intro to Medical Intuition – 1-2pm. With Laura Aversano, spirit walker. All illnesses have a frequency and vibration. Learn to track origins, projections and present state of manifestation. $15. The Center for Health and Healing, Mt Kisco. 914.864.0462. Center4Healing.net. Essential Yoga – 4-6pm. With Laura Jensen. Hip opening and back bending practice coupled with Essential Oils of peppermint, frankincense, wild orange and more. $30. Quest Yoga Arts, 11 E Main St, Mt Kisco. Preregister: 914.241.9642. QuestYogaArts.com. Back to School with Biofeedback – 5-6:30pm. Learn how biofeedback helps students, parents and educators with stress reduction, performance anxiety and more. All welcome. Free. Hygeia Integrated Health, 3505 Hill Blvd, Ste K, Yorktown Hts. Registration required: 914.352.6116. BlisSing Ecstatic Chant and Dance – 7-9pm. BlisSing is inspired by the ancient tradition of call and response chanting, known as “a shortcut to bliss.” All welcome. Liberation Yoga, 862 Rte 6, Mahopac. Info: Eileen O’Hare, BlisSingchant.com. Reiki I Workshop Part I – 9am-3pm. With Regina DeCarlo, Reiki Teacher. Learn this self-healing practice. Part II Thurs, Sept 22. $125 both days, plus $30 manual fee. Westchester Community College Continuing Ed. Register: 914.606.6830. Info, Regina: 917.593.5707. ReginaDecarlo.com. Salty Yoga Class – 11:30am. All levels. Unique and beneficial class combines the benefits of dry salt therapy and yoga. $35 advanced. $40 same day. Breathe Salt Rooms, 200 Katonah Ave, 2nd Flr, Katonah. Info: 914.232.5600, BreatheSaltRooms.com. Fall Equinox Celebration & International Day of Peace – 7-9pm. Community drumming, dance, peace prayers peace and more. Share potluck food. BYO drum/rattle. Hosted by StarVisions and Katonah Space. Katonah Space, behind Methodist Church, 44 Edgemont Ave, Katonah. Breathe Salt Rooms Open House – 11am-8pm. Let’s celebrate. Complimentary sessions all day. Families welcome. Salty workshop demo’s and health oriented speakers 5-8pm. 200 Katonah Ave, Katonah. RSVP: 914.232.5600. 50 Livingstone Ave, Dobbs Ferry. RSVP: 914.591.2600. Info: BreatheSaltRooms.com. Healing Your Pain Naturally: Mind, Body & Spirit – 6:30-8:30pm. Speakers panel with Q&A managing pain naturally. Presented by Holistic Professional Alliance. $10 includes light organic refreshments. Brooklyn Organic Kitchen, Rte 6, Mahopac. RSVP: 845.628.7772. What is Functional Medicine? – 7:30pm. With Dr. Darcy McConnell, MD of Blum Center. Different approach to standard medical health care. Hear about autoimmunity, cardio-metabolic issues and more. Rye Free Reading Room, 1061 Boston Post Rd, Rye. HolisticMoms.org. The Peaceful Warrior’s Path of Rebirth – Sept 23-25. With Dan Millman. Learn practices to prepare for awakening with the author of the classic, Way of the Peaceful Warrior. Omega Institute, 150 Lake Dr, Rhinebeck. 877.944.2002. eOmega.org. Movie Nite – 6-9pm. Children’s’ event. Face painting, free popcorn and fun activities. Parents may leave the building or stay for a workout. $10 per child member, $15 per child nonmember. Club Fit, 600 Bank Rd, Jefferson Valley. Laura: 914.245.4040. Paint Nite – 6:30-8:30pm. Members and nonmembers welcome. Attendance limited to first 75 participants. Food and beverage available for purchase. $25 member. $35 nonmember. Club Fit, 600 Bank Rd, Jefferson Valley. Info, Laura: 914.245.4040. Movie Nite – 6:30-9:30pm. Children’s’ event. Face painting, free popcorn and fun activities. Parents may leave the building or stay for a workout. $10 per child member, $15 per child nonmember. Club Fit, 584 N State Rd, Briarcliff. Melissa: 914.250.2764. RYT-200 Training Yoga Alliance Certification: 1st Module – Sept-May. 6:30-9:30pm/Fri; 9-5:30/Sat and Sun. 10 weekends. $2895/$3095. Wainwright House 260 Stuyvesant Ave, Rye. 914.967.6080. Wainwright.org. Mediumship Circle – 7-8:30pm. With Carla Blaha. $35. Synchronicity, 1511 Rte 22, Brewster. RSVP: 845.363.1765. SynchronicityNY.com. Trauma Informed Yoga Training – With Elisha Simpson, founder of Crossover Yoga Project. Five-hour training for yoga teachers, social workers and clinicians. Learn to adapt tools from growing field of trauma research. Certificate upon completion. Register/pricing info: 914.241.9642. QuestYogaArts.com. Reflexology Certification – Sept 24 & 25. Also, Nov 12 & 13. 9am-5pm. Learn how to give full hand and foot reflexology sessions from experienced instructors. $475 register before Sept 21. Western CT State Univ. Call/text: 203.837.0122. LotusGardensYoga.com. StarVisions Hosts Crystal Bed Healings Designed by John of God – 10am-4pm. Free meditation in powerful healing current. Optional crystal bed treatments available: $80. Unitarian Universalist Fellowship, 236 S Bedford Rd, Mt Kisco. Register, Abia: 914.565.5480. Arlington Street Fair – Noon-6pm.Raymond Avenue is transformed for attendees to enjoy live entertainment, musical guests, an array of shop, restaurant and craft vendors, inflatable rides and family fun. Free admission. ArlingtonHasIt.org/Happenings/Arlington-Street-Fair. Yoga for Labor & Delivery – 3-6pm. Couples workshop provides instruction on wide range of simple techniques to achieve calmness, reduce discomfort and facilitate the process of labor. Riverstone Yoga, 2 Hudson View Way. 914.332.9642. RiverstoneYoga.com/Events. BlisSing Ecstatic Chant and Dance – 7-9pm. BlisSing is inspired by the ancient tradition of call and response chanting, known as “a shortcut to bliss.” All welcome. Prana Moon Yoga, 1000 Division St, the Hat Factory, Peekskill. Info, Eileen O’Hare: BlisSingchant.com. Align With Your Higher Self – A channeled guidance session with Mary Ellen O’Brien. $30 door. $25 advance online. Rose Healing Center, Verplanck. AwakenYourTrueEssence.com. Workshop Self-Care for Empaths – Noon-2pm. With Angela. $40. Synchronicity, 1511 Rte 22, Brewster. RSVP: 845.363.1765. SynchronicityNY.com. The Magickal Home: Honoring the Harvest – Noon-4pm.Create a Harvest Kitchen Altar with seasonal items, candles and corn dollies. $30 includes all materials. Hands of Serenity Healing, 1129 Main St, Fishkill. Register: 845.896.1915. HandsOfSerenityHealing.com. The International Day of Peace – 1-5pm. Afternoon of ceremony, meditation, prayer, music and guest speakers on the leading edge of the Global Peace Movement. $25/$30. Wainwright House 260 Stuyvesant Ave, Rye. 914.967.6080. Wainwright.org. 3rd Annual Westchester Yoga Mala – 3-5pm. 10 teachers lead 108 sun salutations to live music as an offering to mission of UN International Peace Day. MacEchron Waterfront Park, 100 River St, Hastings on Hudson. $25/advance or $30. Info: 914.906.8233. StretchYoga.Me. Fall Equinox Healing Night – 4-6pm. With Merrill Black, LCSW/Reiki Master. Yoga, Chanting, Meditation, Grounding & Self Reflection. The Temperance Center, 453 White Plains Rd, Suite 203, Eastchester. $20, half will go to charity. 914.793.2600. TheTemperanceCenter.com. Restorative Workshop – 5-7pm. With Karla Booth Diamond. All levels/all ages. Relax and let go of “have to’s” and “shoulds” for health and well-being. $25 advance. $30 door. Quest Yoga Arts, 11 E Main St, Mt Kisco. Register: 914.241.9642. QuestYogaArts.com. Salty Yoga Class – 6pm. All levels. Unique and beneficial class combines the benefits of dry salt therapy and yoga. $35 advanced. $40 same day. Breathe Salt Rooms, 50 Livingstone Ave, 4th Flr, Dobbs Ferry. Info: 914.591.2600, BreatheSaltRooms.com. Herbal Magic Gathering – 6:30-7:30pm. Monthly hour lecture and mini workshop while working with a specific herb, discussing its properties, uses and often basic how-to’s. Free. Dreaming Goddess, 44 Raymond Ave, Poughkeepsie. 845.473.2206. DreamingGoddess.com. Salty Yoga Class – 5pm. All levels. Unique and beneficial class combines the benefits of dry salt therapy and yoga. $35 advanced. $40 same-day. Breathe Salt Rooms, 200 Katonah Ave, 2nd Flr, Katonah. Info: 914.232.5600, BreatheSaltRooms.com. Complimentary Health and Wellness Seminar – 6-7:30pm. Disease detection and prevention. Presented by Dr. Carl Ern, D.D.S. of Putnam Dental Associates. Hors d’oervres & beverages will be served. Clock Tower Grill, Brewster. RSVP: 855.347.7486. Reiki Circle – 7-8:30pm. Those new to Reiki and all levels. Exchange: one class pass, purchase online. $20 walk-in. Sacred Spirit Yoga and Healing Arts Center, 343 Broadway, Dobbs Ferry. SacredSpiritYogaCenter.org. DreamTending – 7-9pm. With Warren Falcon. Let our dreams convey to us individually and collectively as we share the gifts that the dream world provides. $30. 501 Guard Hill Rd, Bedford. 914.218.3113. SlowMedicine.org. Secret Teachings of the Way – Sept 30-Oct 2. With Deborah King. Unlock the door to the mysterious world of energy healing and discover techniques from other realms. Omega Institute, 150 Lake Dr, Rhinebeck. 877.944.2002. eOmega.org. New Moon Gathering – 7-8:30pm. Use the lunar cycle to realize one’s intentions. Guided meditations and ritual facilitated by astrologer Pamela Cucinell. BYO notebook. $20 members. $25 nonmembers, Wainwright House, Rye Register: 914.967.6080.